Sorabjee says the Supreme Court-mandated 50 per cent limit is not absolute, but there should ‘credible evidence’ for increasing it. New Delhi: The “spirit” behind the Narendra Modi government’s constitutional amendment to give 10 per cent quota to economically weaker sections (EWS) of the general category is good, but the trend of expanding reservations must stop, renowned jurist Soli Sorabjee has said. Speaking to ThePrint on the legal tenability and political consequences of the quota bill which has been passed by both Houses of the Parliament, Sorabjee said the move is a step towards social justice. “Surely, economic backwardness is a kind of backwardness. So, in principle, it is not wrong,” said Sorabjee. However, he said the decision has been taken keeping elections in mind. “Surely, this is done keeping the elections in mind, but all political parties do that,” he said. The Modi government brought in the quota bill in a tearing hurry earlier this week. 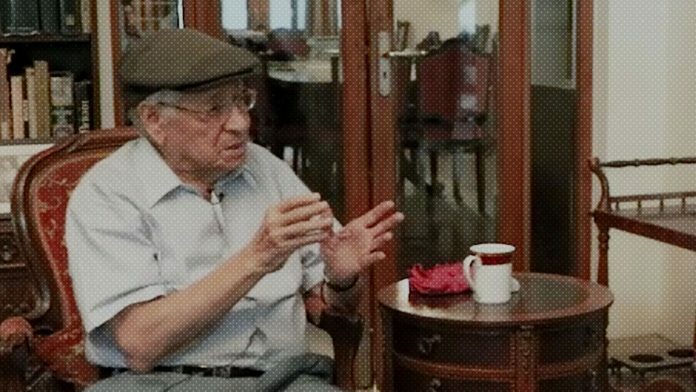 While the Supreme Court in the historic Indra Sawhney vs Union of India case in 1992 had held that there must be a 50 per cent cap on reservation, Sorabjee said this limit is not absolute. “If the circumstances change and demand so, the limit can be changed,” he said. However, there should be “cogent, credible evidence” for doing so, added Sorabjee. The constitutional amendment giving quota to EWS will take the reservation limit in the country to 60 per cent. Moreover, while the court had also ruled out making economic criteria as the sole criterion for reservation in the same judgment, Sorabjee said there is nothing wrong in extending reservation to the poor in principle. “As long as there is a constitutional amendment to this effect, I don’t see why it cannot get through,” he said. Reservation is required in the country to ensure a level playing field to communities and groups against whom social injustice has been meted out, “but as a result, don’t give merit a go-by,” Sorabjee said. “After some time, reservation must cease… Do we want our country to be only governed by reservation?” asked the jurist.